Have you ever tried to photograph something and the damn autofocus won’t pick up on what you think is the most important part of the picture? Well, how about if the camera won’t focus at all? 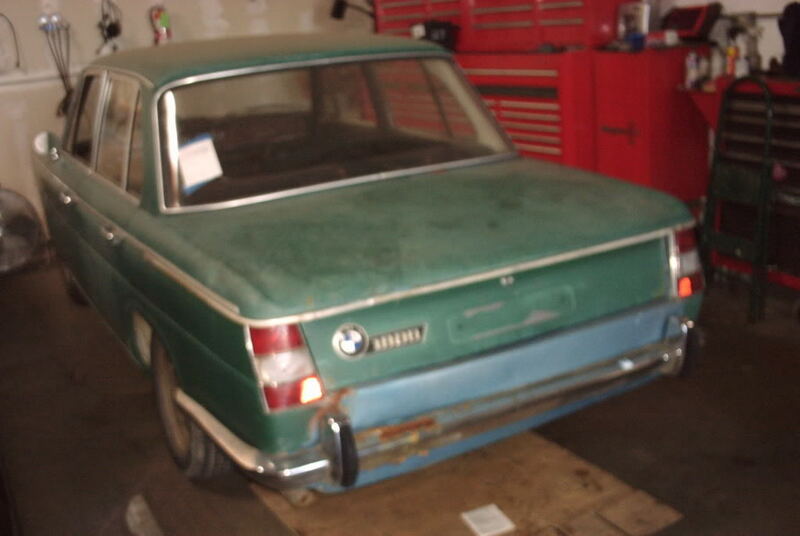 Evidently, the finder/seller (haven’t you ever heard the saying, “finders, sellers?”) was unable to get some clear photos before turning this BMW around. Complaining aside, there’s a lot to like about the early 4-door Neue Klasse sedans – they have the charm of a 1960s car, but with many of the upsides of a 2002. 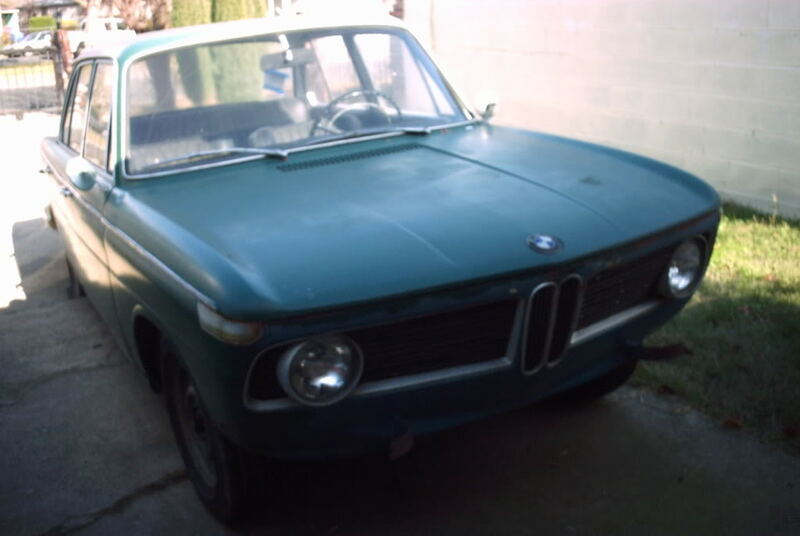 Check out this 1965 BMW 1800 for sale for $2500 in Sacramento, CA. Brush painted green, it’s hard to tell what the original color was – there’s some light blue in the back, and under the hood it’s white. That said, these early Neue Klasse cars are not growing on trees, and while this one has plenty of small rust spots, it doesn’t look like there is major perforation or structural rust – substantiated by the seller’s (generous) claim of minimal surface rust. It’s said to be in good running condition, with a new battery, but needing restoration. Close up shots in the seller’s gallery show the extent of the rust, as well as details like ancient tires. Take it to mean the car’s been stored for ages, likely outdoors, and will need a full revival (Amen! Halleluiah! Thank you Jesus!) at the very least. 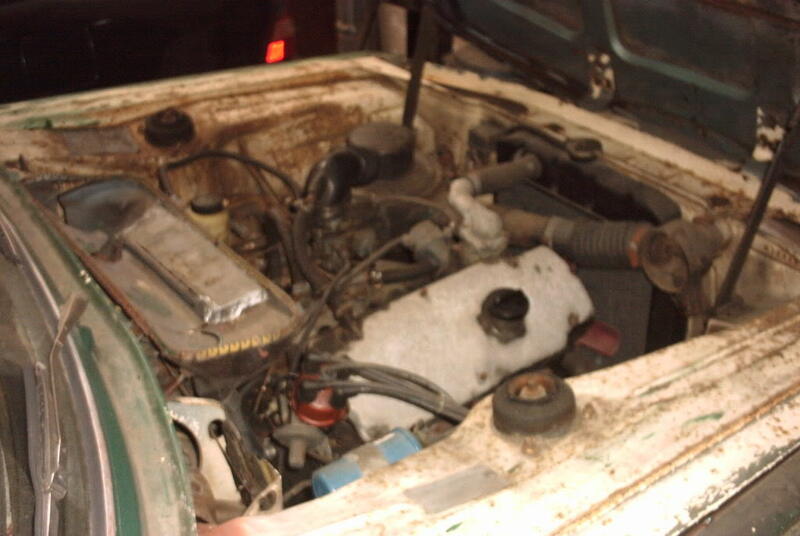 If you could at least start the car, you might be able to judge the condition of the engine. Faux wood on the dash recalls 1960s Alfa Giulia Sprint GTVs, and looks in surprisingly good shape – normally you’d expect horizontal plastics to be fried by the sun on a car this age. 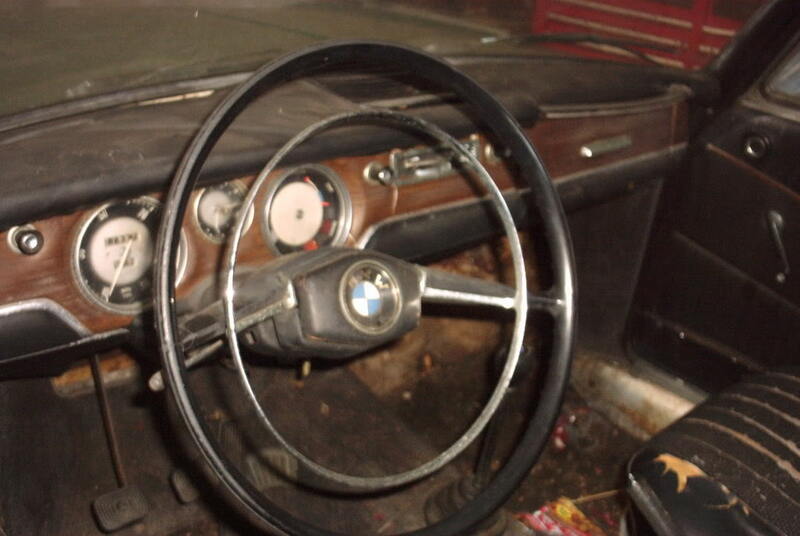 The steering wheel is charming, but it’s surprising to see no tachometer – as this was the biggest engine for 1965 (ignoring the TI and TI/SA for a moment) you’d expect a performance-oriented company to install one. But maybe BMW was not quite as sure of themselves as a sporting brand yet. Wouldn’t a quick vacuum and wipe down with a damp rag make all the difference in the presentation here, or is the seller trying to convey the shed-find look? Is that rust around the left overrider? The connected BMW 1800 badge is very 1960s German, and again the car looks pretty complete. At least two hubcaps come with the car, and are shown in the trunk in one of the pictures. While the rear bumper is present, the front doesn’t show up in any pictures – perhaps they can provide a clear shot of that. It’s kind of cool how the clamshell rear lid wraps around right to the trailing edge of the doors – your access to the trunk shall *not* be impeded, except by the high lift-over. So what’s holding you back? You’re only a couple of Weber 45DCOEs and some high compression pistons away from being halfway to a TI/SA. Right? Anyone? This entry was posted on June 19, 2015 at 9:18 pm and is filed under Feature. You can follow any responses to this entry through the RSS 2.0 feed. You can leave a response, or trackback from your own site.